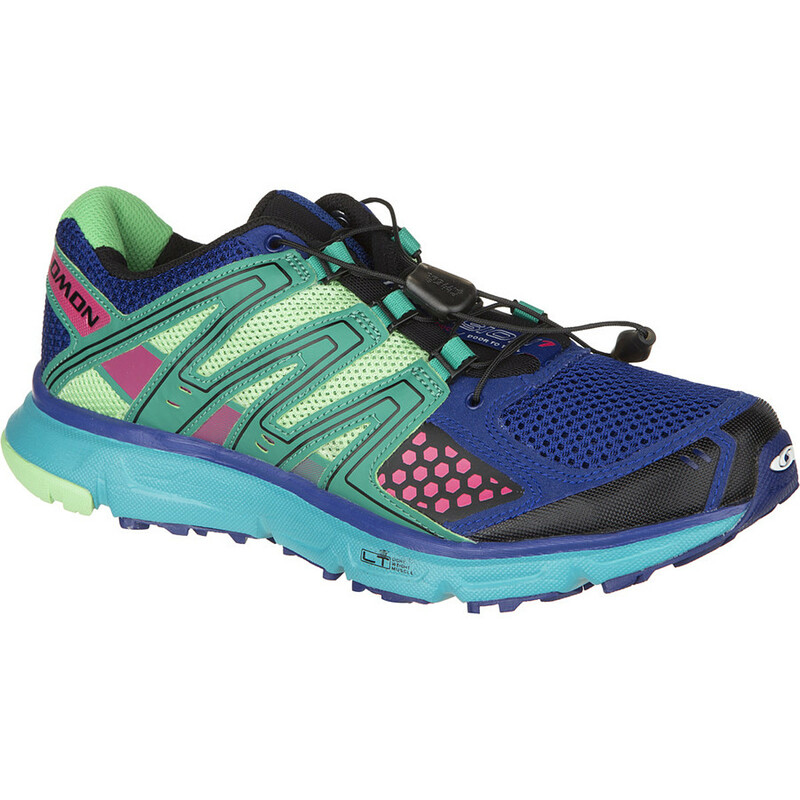 Designed for those who never let a gloomy weather forecast get in the way of a great trail run, the women's Salomon X-Mission 3 CS trail-running shoes are loaded with performance features. 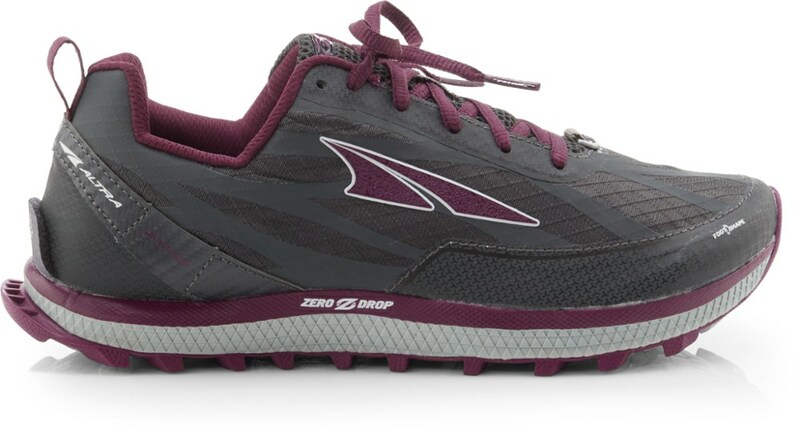 Don't let a little rainfall stop you from getting your daily workout in, especially when the Salomon Women's X-Mission 3 CS Trail Running Shoe is ready for rugged conditions. 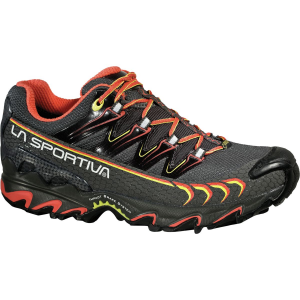 Its Climashield upper sheds muddy terrain like it didn't even rain, and the upper's mesh construction ensures ventilated airflow in summer's warmer weather. 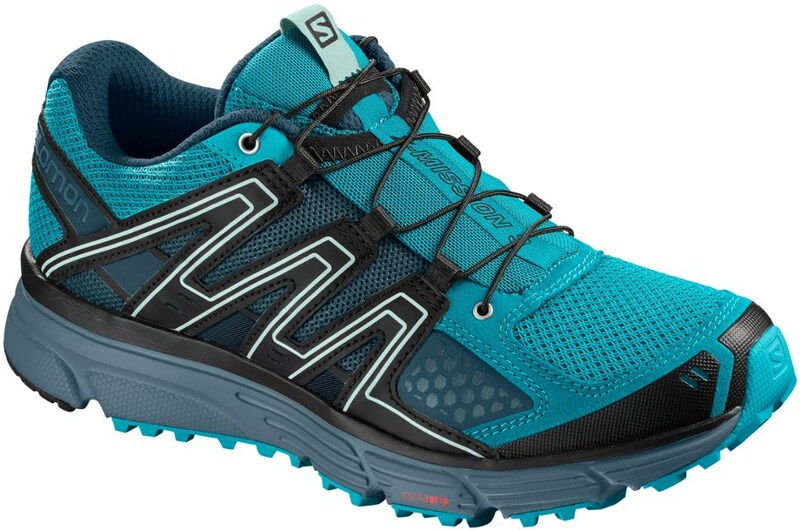 Salomon's innovative Sensifit system ensures a precise and secure fit, and Sensiflex supports a natural foot expansion while still maintaining enough support for all-day runs.The X-Mission's upper also features Salomon's Quicklace drawcord for a quick and secure fit, and the gusseted tongue prevents debris from sneaking into the shoe. 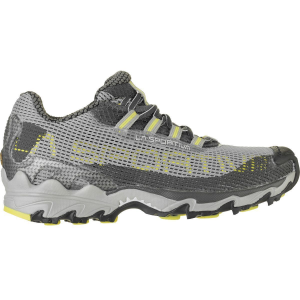 Underfoot, this trail runner's dual-layer EVA footbed and midsole offers plenty of shock attenuation, responsiveness, and comfort to assure a smooth ride over rocky terrain, and the Contagrip sole assures long-lasting traction over rough trails. 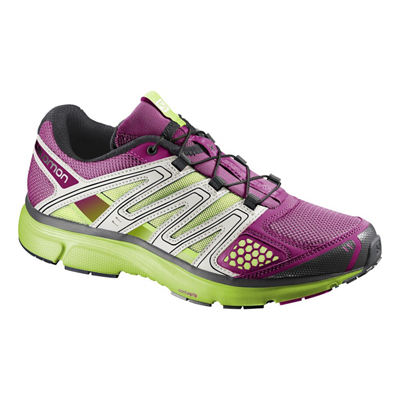 Lightweight and breathable while providing phenomenal support, Salomons Womens X-Mission 3 Trail-Running Shoes are exactly what you need for your trail-running adventures. Breathable uppers are backed with waterproof ClimaShield technology that beads away water to keep your feet dry. QuickLace system keeps shoe laces tight. EVA footbeds offer superior cushioning. Outsoles provide superior traction on a variety of surfaces. Imported. Avg. wt: 1.14 lbs./pair. Womens sizes: 5-12 medium width. Half sizes to 11. Colors: Black/Teal/Dahlia, Purple/Coral. Size: 10. Color: Purple/Coral. Gender: Female. Age Group: Adult. Type: Shoes. Shop Salomon Womens X Mission 3 CS Trail Running Shoes-L39055100-7.5, L39055100-8 with Be The First To Review New Product + Free Shipping over $49.